“What should I bring?” is the question we’ve all asked ourselves when heading over to someone’s house for dinner. You can’t show up empty-handed. A bouquet of fresh seasonal flowers for the hostess is always nice, and you can’t go wrong with that. Then comes the wine and that is often quite a conundrum. You must choose a bottle of wine or two to share with your host and other guests. 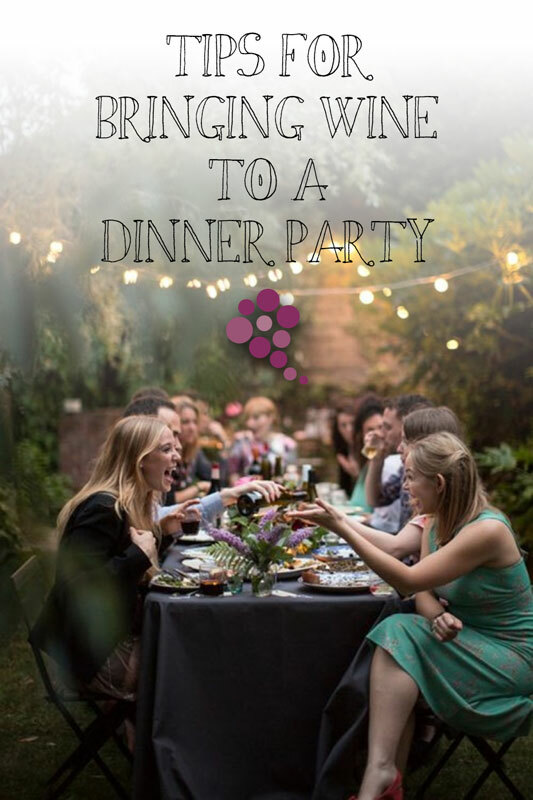 Bringing wine to a dinner party is easier than you think, and this article will help you feel that way. Ask your host if there’s something specific he would like. He may be low on Chardonnay, or craving some Viognier. It makes it easier and will save you a lot of time searching for the right wine. Ask who’s going to be at the party. Choose the wine based on the type of crowd. Don’t empty your wallet on a great bottle that just won’t get properly appreciated. 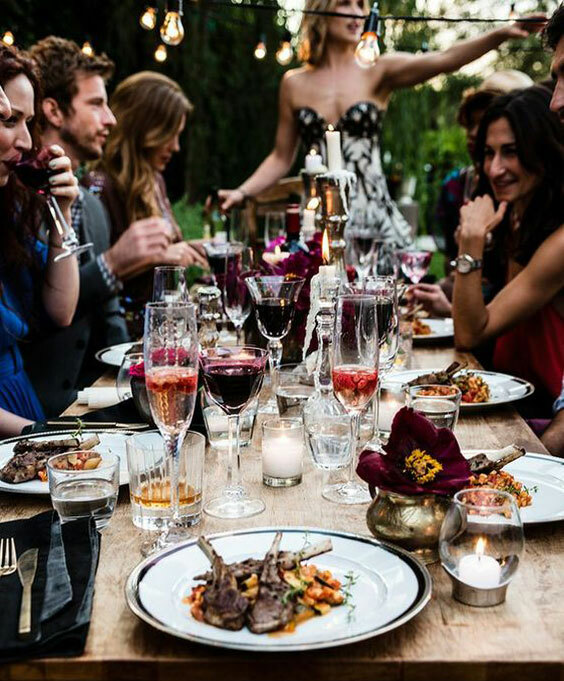 Conversely, don’t hesitate to spend a little more than you typically would if most guests are wine connoisseurs. Don’t second-guess and bring what you would like to drink. If you like it, other guests will be more inclined to try it and give you their honest opinion. It is absolutely OK to ask what’s for dinner. Based on the menu and the type of food being served, you should have an easier time choosing the right wine. If you’re worried about your wine not pairing with the food, it is ok to bring something to eat as well. Always run it with the host first, and perhaps bring some appetizers that will pair nicely with your wine. If it’s hot outside, bring something chilled and refreshing. A variety of white wines will work well here, like a Chardonnay, a Sauvignon Blanc, or even a Rosé from Provence. You may also try a Grenache Blanc for a unique surprise. If it’s a cold night, you can bring something that will keep people warm. Go with a heavy red like a Merlot or a Zinfandel. Yes, you can most certainly bring a dessert wine. Every respectable meal ends with dessert. The number one mistake people do is to continue drinking the same wine they enjoyed during the main course. Ugh! Don’t do that. Bring a dessert wine and be a hero. Make sure it is chilled and serve small quantities. No one ever brings Champagne to a dinner party… And that’s a real shame! Champagne puts everyone in a party mood. Great before dinner, it is perfect for whetting appetites and it pairs well with any kind of appetizers. Learn about the health benefits of Champagne. When your host has a wine cellar about the size of your dining room, choosing a bottle of wine can be slightly trickier. Don’t be intimidated by your friend’s wine collection, you can always find a rare bottle from a boutique winery that he may not know about. Wine connoisseurs are always looking for new wines to try. Have a wine expert pick out the bottle you’ll bring to the party. Their explanations for what makes a particular wine worthy are usually deep and intricate. They will tell you everything about the wine and much more you can ever bargain for. The best help I’ve ever received in a wine shop is at K&L Wines. Those guys are top-notch! Go that extra mile and slap down a little extra cash and get two varietals. Why? Because two is better than one! Get two wines (Pinot, Syrah, Cab, Merlot, etc…) from the same winery and have fun comparing them. Bringing wine to a dinner party is easy. Follow our list of tips and be the hero of the evening. You can bring a nice bottle of wine to be enjoyed with dinner, or just as a gift to be enjoyed later. Remember, wine is not a competition but rather a way to connect with people and make new friends.